What’s more delicious in a dish than a combination of carrots and turmeric? These two are full of bright flavors. Turmeric not only looks so lovely, it is also incredibly good for your health. Turmeric is filled with curcumin, an anti-inflammatory compound that can help fight rheumatoid arthritis. In addition, curcumin has many beneficial effects on some of the factors that may serve as a basis for the fight against heart disease. In addition, carrots are loaded with beta-carotene, which helps promote eye health. They are also rich in antioxidants, which helps promote good heart health. 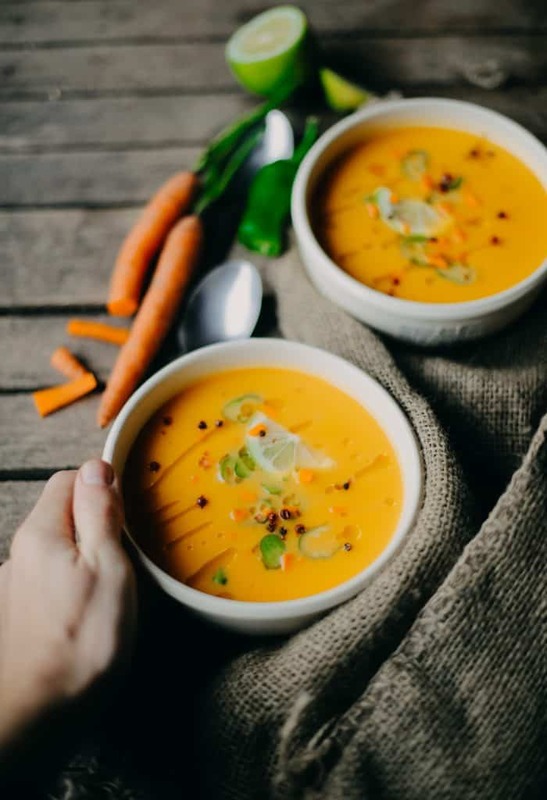 So, if you want to try this healthy turmeric anti-inflammatory soup, here's how to prepare the recipe. 1. Heat olive oil in a medium saucepan over medium heat. Add the carrots, turmeric, onion, and ginger. Season with salt and pepper. 2. Saute for 5-7 minutes, or until softened. 3. Add the broth and lemon juice. 4. Let it boil, cover the pan and reduce heat to a simmer. 5. Cook until the carrots are tender, about 15-20 minutes. 6. Using an immersion blender, mix until smooth.